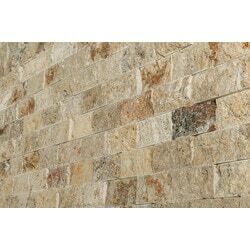 Cabot Mosaic Tile - Travertine Series Tuscany Scabas Split Face / 2"x4"
Tuscany Scabas Split Face / 2"x4"
Durability: Able to withstand the heavy residential traffic of families and pets, in addition to light use in commercial applications. 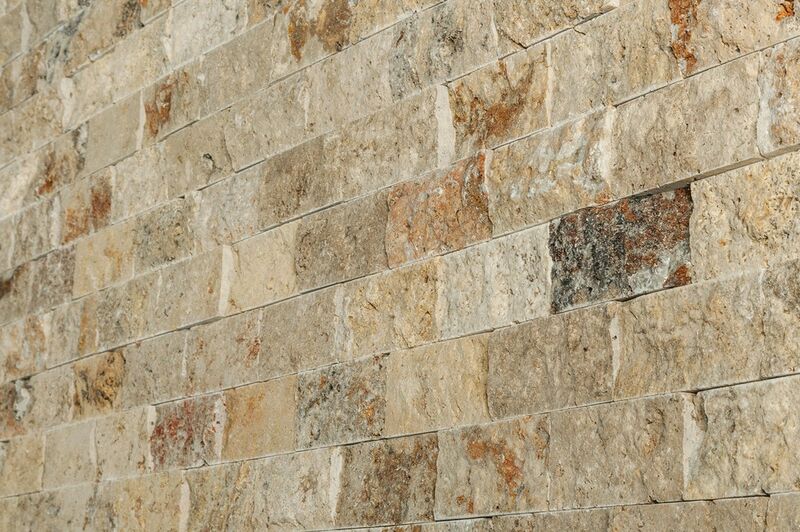 Versatility: Whether providing the perfect accent to any wall, or endowing your kitchen with a rustic old world appeal, these Travertine Series mosaics are the perfect contribution to any indoor aesthetic. GreenGuard Certification: A certification from GREENGUARD Indoor Air Quality means that the material used to make the mosaics have low chemical emissions, improving the quality of the air in which the products are used. Mosaic Tile - Split Face Patterns - Soleil Onyx / 1"x2"
Marble Mosaic - Marble Series - Cafe Forest / Tumbled / 2"x2"
Travertine Mosaic - Stacked Stone Brick Series - Noce / 1"x2"
A few of the 2x4 squares were broken but they will probable be easy to remove and replace. I will be calling to order some more tile soon. My contractor says my quantity is a little low for numerous cuts.